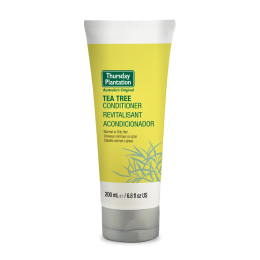 Thursday Plantation Tea Tree Conditioner detangles and gives lustre back to your hair. Massage through the hair and scalp. Leave 1-2 minutes and rinse thoroughly with water.